Today's entry is exclusively for those over the age of 18 if from Alberta, Manitoba and Quebec, and over 19 from the rest of Canada. 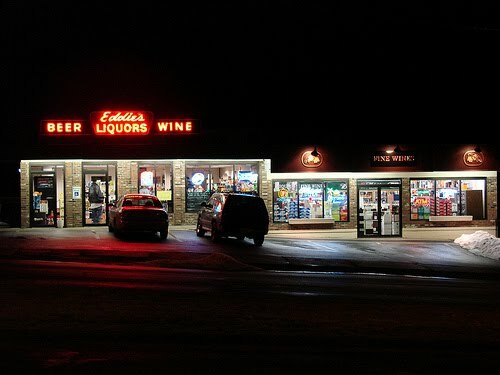 Ok now that I got that out of the way, today I'm going to rant about how alcohol sales in Canada have come a long ways. 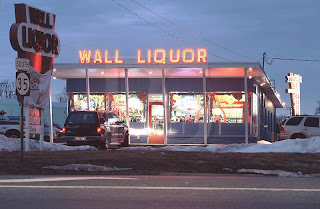 Once upon a time, not to long ago, I recall alcohol sales being completely government controlled (well except for those wh o produced at home for their own consumption, or in other words, any Portuguese home). 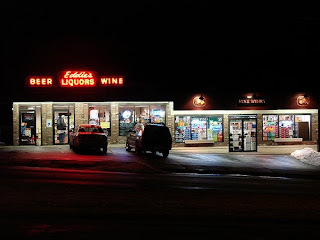 The government-ran liquor stores all had the same store fronts (and still do) and that's where you would go to get your booze under the watchful eye of 'the man' and on his time. 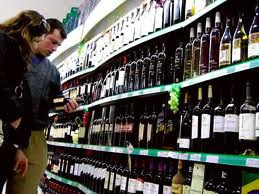 Then, slowly but surely, privatisation started creeping in, primarily in the case of wine and beer sales, and all of the sudden cold beer and wine stores started popping up everywhere. Those of course were convenient and had longer hours. Now if these liquor selling establishments weren't convenient enough, retailers started to think of other ways of making them even more convenient. What was the next natural step then? 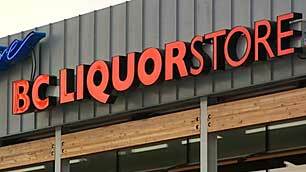 Well if MacDonalds have them as do Tim Hortons and Starbucks, why not these liquor stores? 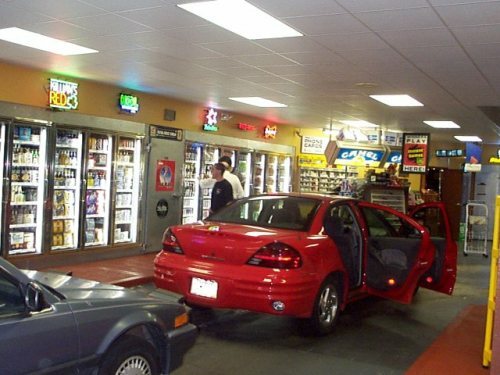 Thus the birth of the drive thru liquor store. Everyone knows how a drive thru works - you drive up, place your order, they give you the merchandise and you drive off. 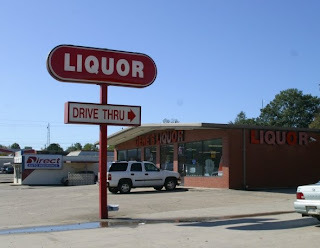 Sure it permits laziness, yet some would say that the liquor store visiting thrill is completely lost. What to do? 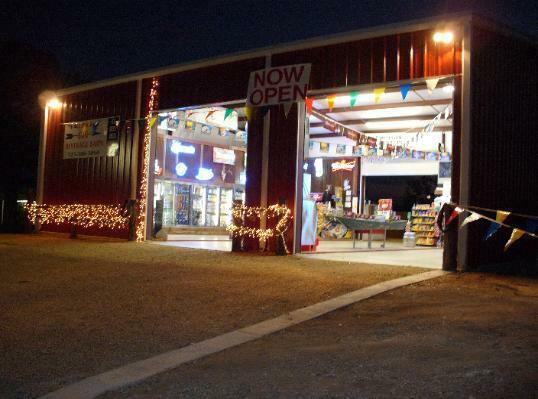 The liquor store drive-in! Yes the latest craze! You drive into the liquor store, you're surrounded by the liquor, you pick out what you want and you still get to pay while sitting in the confort of your car! Exactly as you see below. Ok now the Portuguese angle on this 'strange and funny world' of 1. preoccupation with underage drinking, 2. the love affair with the automobile, and 3. complete laziness. Here in Portugal the closest you get to parking your car right next to a case of beer is by parking right up on the curb in front of your local Pingo Doce (believe me, you wouldn't be the first and certainly not the last). Leaves you to wonder if scenes like this one below will soon be an ancient thing to do for those on the 'new' continent - what, standing in front of a selection of alcoholic beverages and then walking to the till to pay? Crazy!